I thought this totebag needed a pocket and a splash of fun colors added to it so I fixed it up for the Back to the Beach Challenge at May Arts. I covered the handles with May Arts Ribbon KB22 1.5" SOLID/CHECK. For the little sailboat I used: RR28 1.5" - SOLID/PRINT/WIRED, KB22 1.5" SOLID/CHECK, and 334-14 SOLID OMBRE/PICOT EDGE. 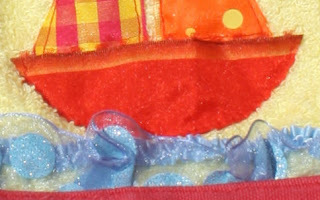 For the water I ruffled up FD34 SHEER/GLTTR DOTS/WD and added BA34 SATIN/CENTER RUFFLE. Thanks for stopping by! 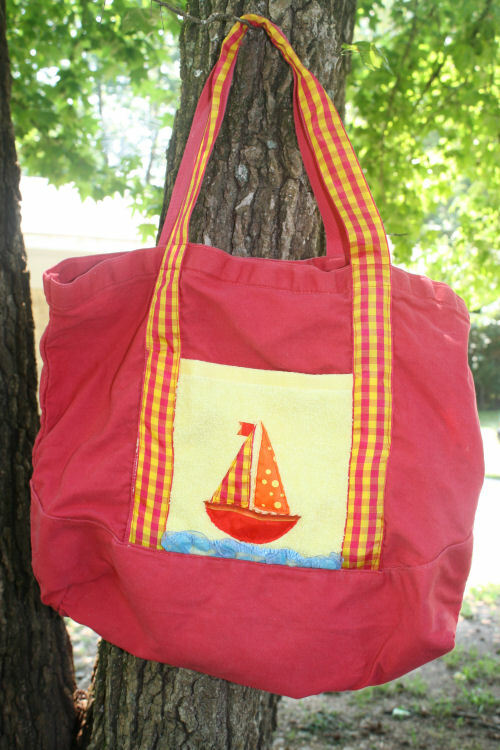 Joy, your tote is absolutely adorable!